Bring the people you love closer to your heart by gifting this Scintillating Gift Receptacle loaded with your affection and fondness for them. 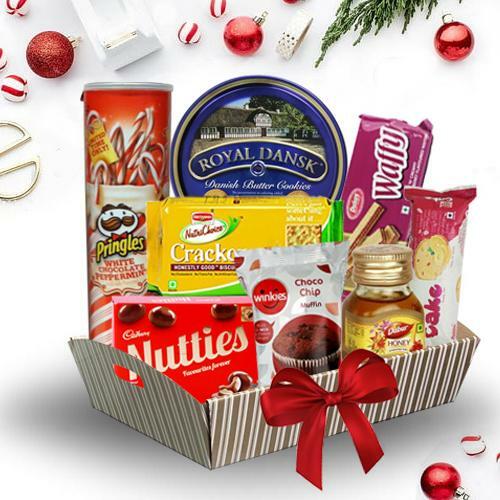 This delightful Tray comes with Tea Time Hamper containing Britannia Fruit Cake, Winkies Cup Cake, Pringles Small Chocolate, Waffy Wafers, Dabur Honey, Britannia Cream Cracker and a Cadbury Nutties Box. Note: Gift container may vary depending on availability.